Specsheet: 6 Lavishly Appointed Bathroom Fixtures. 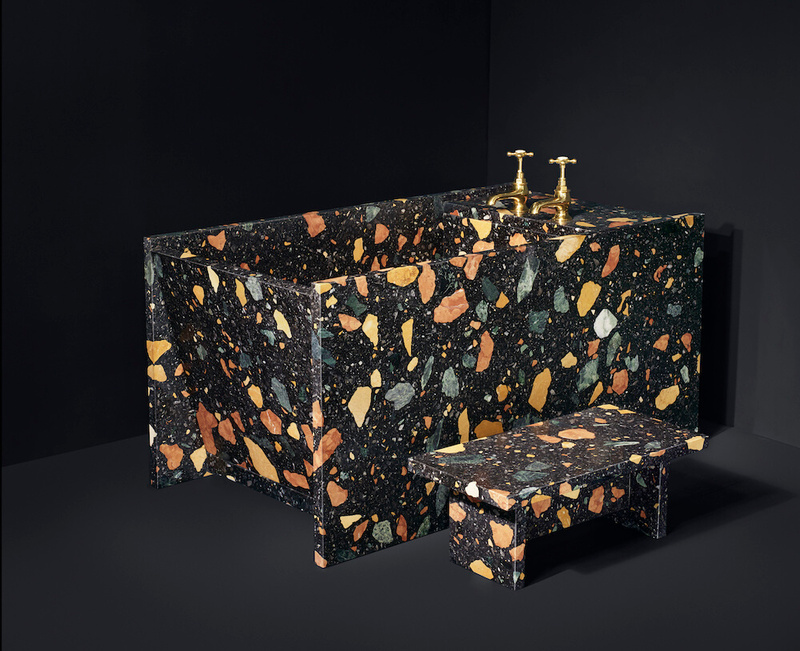 Pictured here: Max Lamb's pre-cast terrazzo marble bath from the Marmoreal collection for Dzek. (Courtesy Dzek). 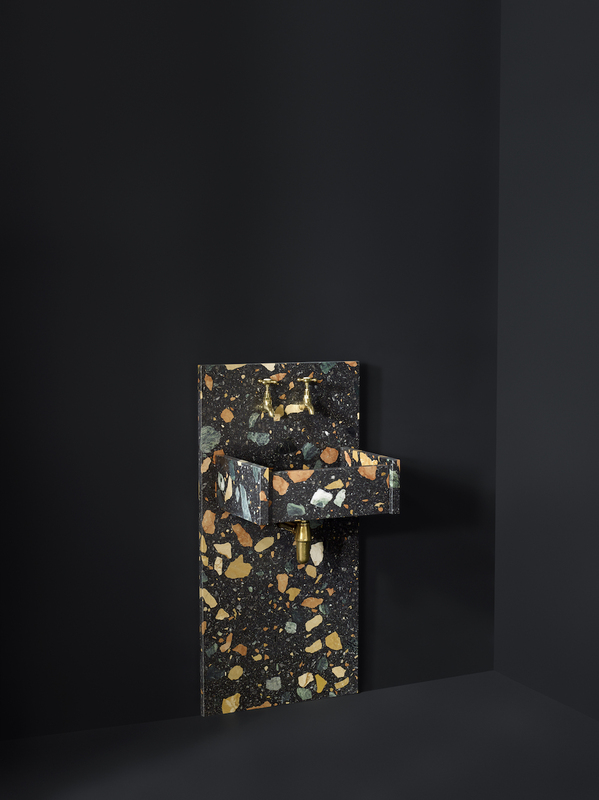 From classic Italian marble basins to glass-framed showers and designer collaborations, the newest bathroom fixtures and accessories combine luxurious materials with pared-down, simplified forms—a juxtaposition that makes for a downright lavish lavatory. 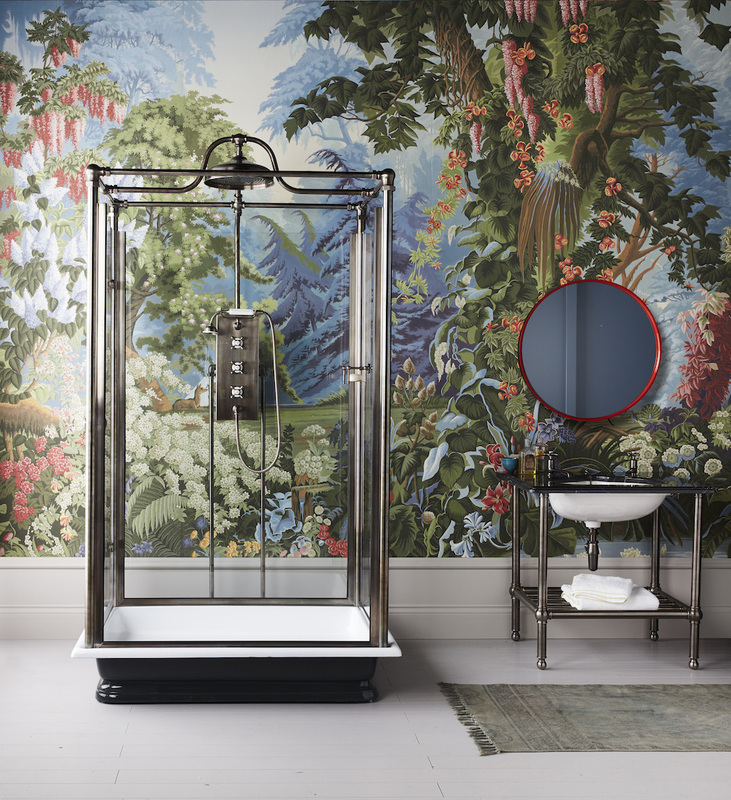 Standing nearly eight feet tall on a cast-iron base, the Thurso shower is complexly enclosed in glass and framed by an ornate metal system. 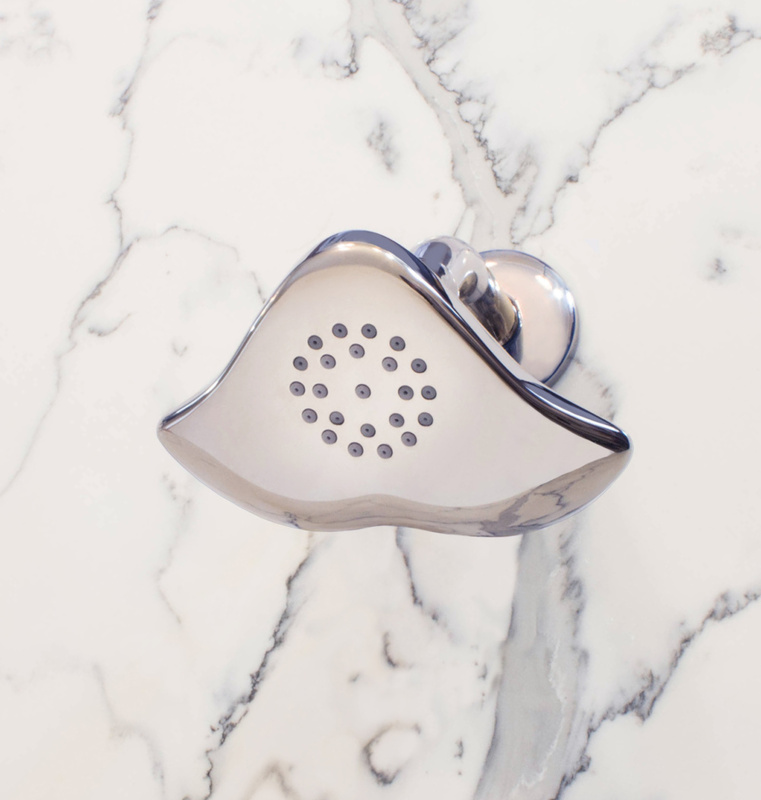 Available in 17 finishes, the autonomous enclosure features a 12-inch built-in showerhead. 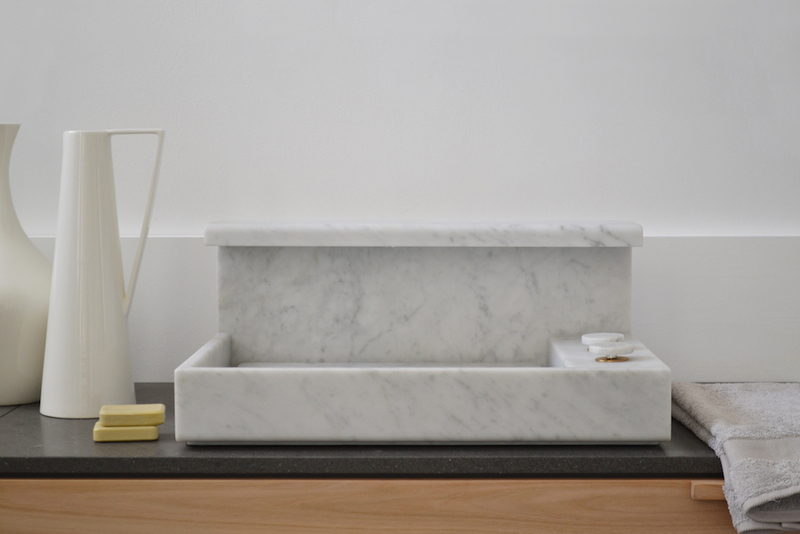 Pre-cast in terrazzo marble, the bathtub and sink are from Max Lamb’s Marmoreal collection and ongoing Quarry series. The sculptural works are characterized by their raw and unapologetic appearance, and of course, their generous scale. They are both available in white-background Bianco Verona or black-background Grigio Carnico. Alex Miller Studio designed an entire collection inspired by the ocean, aptly named By the Sea. With an organic shape that nods to tidal ebbs and flows, both showerheads are available in chrome and gold. 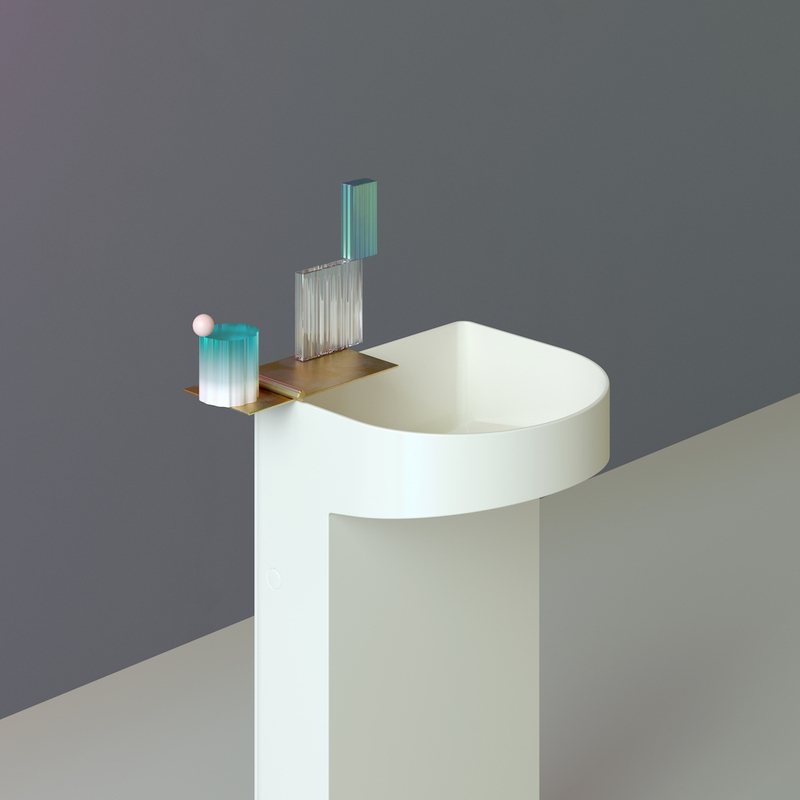 Patricia Urquiola designed the third iteration of Laufen’s SaphirKeramik collection with inspiration from the phenomenon of sound waves moving through water. 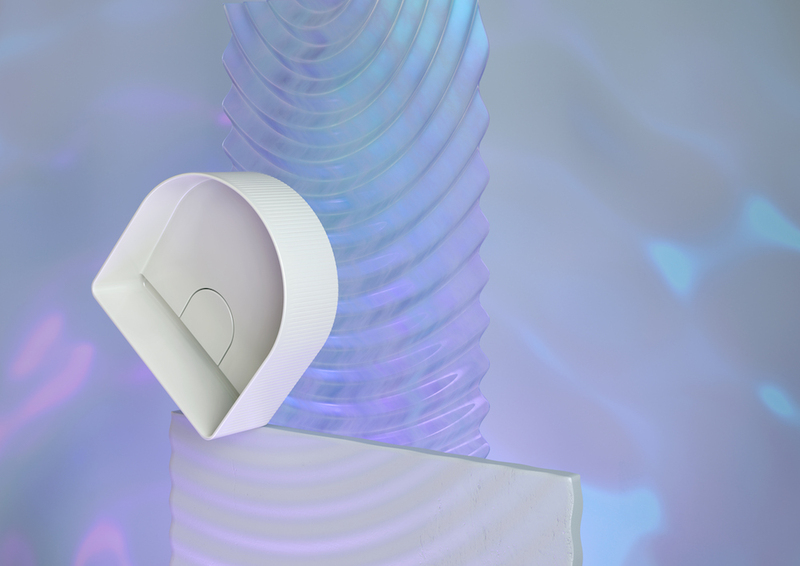 With a mutable interplay of alterations throughout the nine washstands and one bathtub, she envisioned “wavelength-thin” fixtures with a “dissonant” ribbed surface texture. 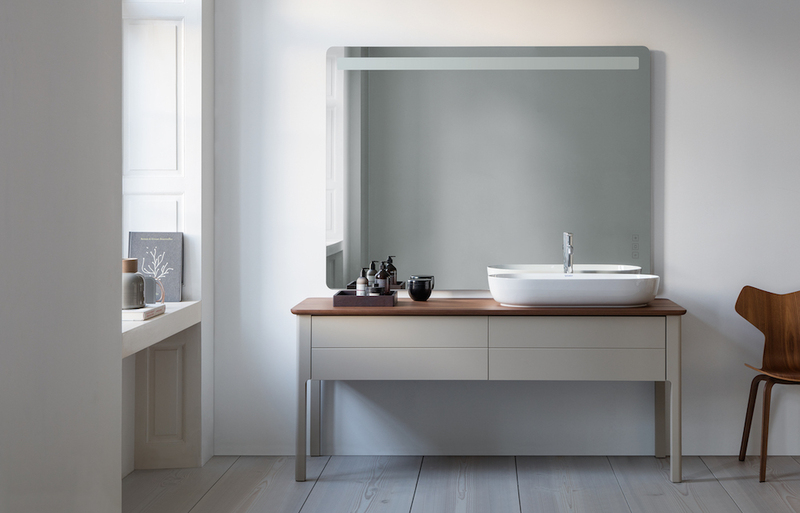 Danish industrial designer Cecilie Manz designed a comprehensive series of washbasins, lighted touch-screen mirrors, and other items for open, Nordic-style bathrooms. The basins can be glazed in satin-matte white, gray, or sand, and the table console with drawers is available in six earth-toned colors. Meanwhile, the tabletop comes in quartz stone or solid wood. 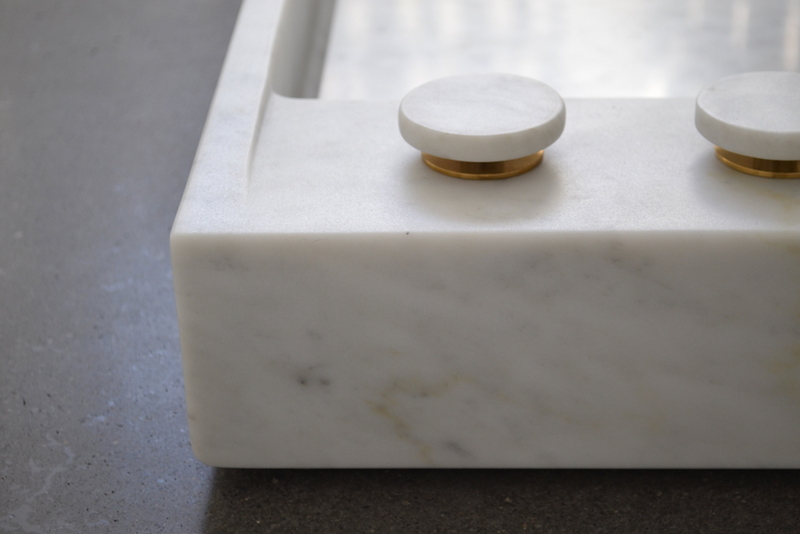 Milan-based designer Monica Freitas Geronimi conjured a pristine overmount basin from Carrara marble with integrated circular tap handles that are complemented by brass-hued fittings. 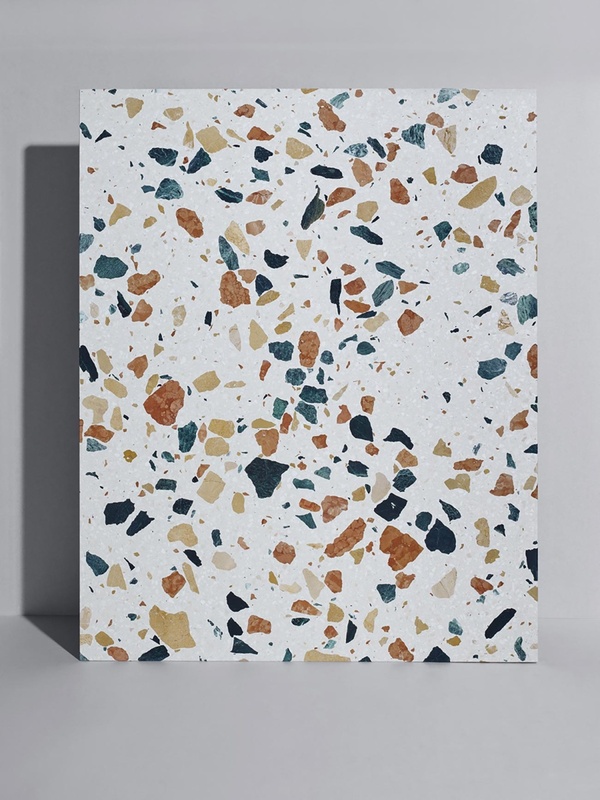 It is also available in a charming gray Basaltina stone.